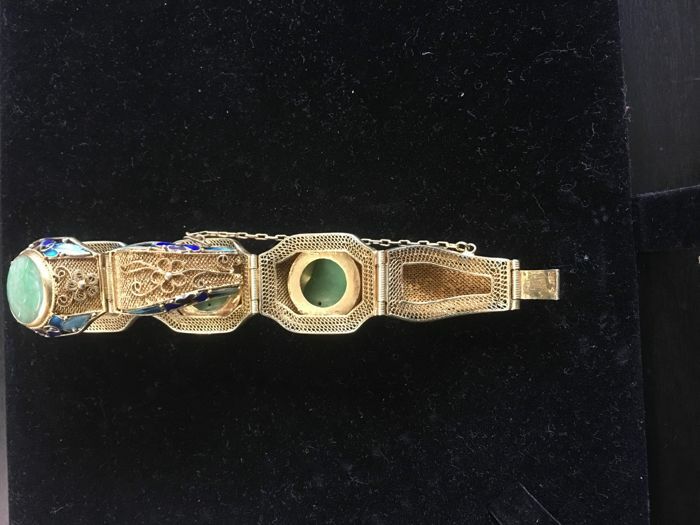 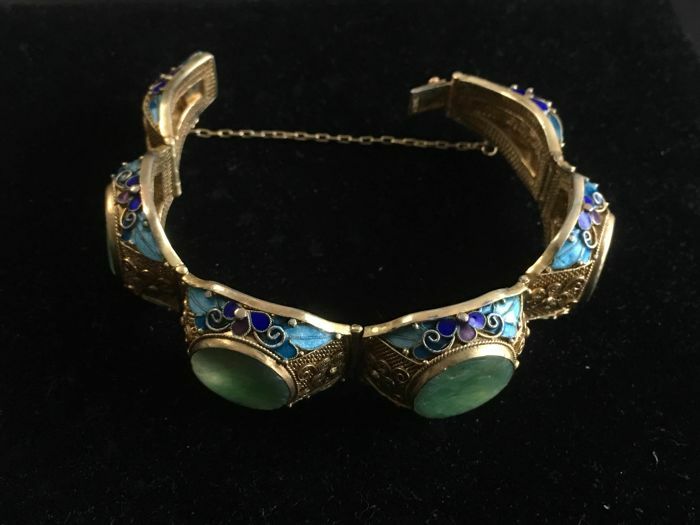 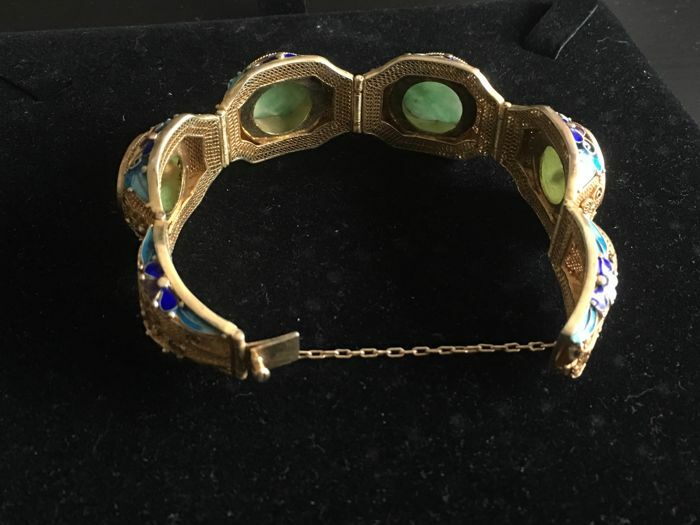 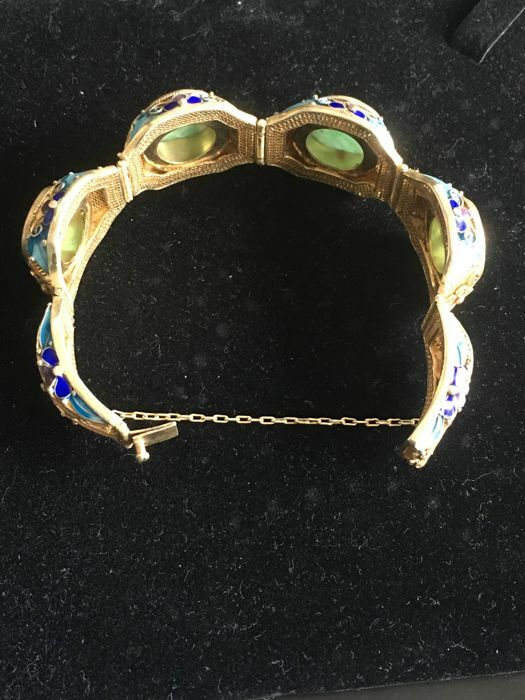 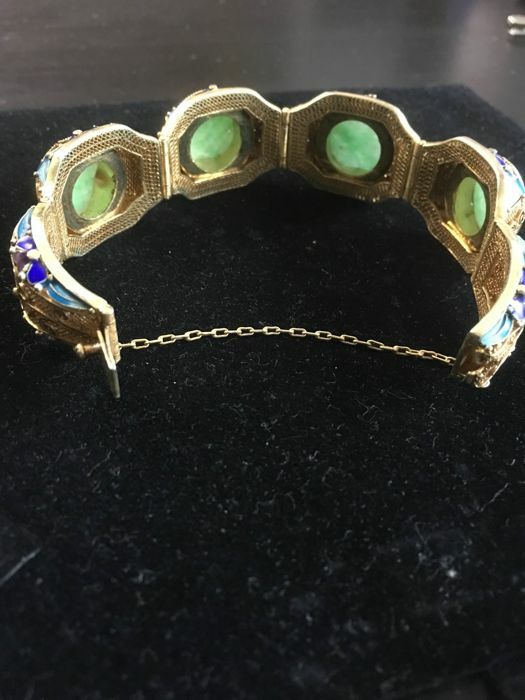 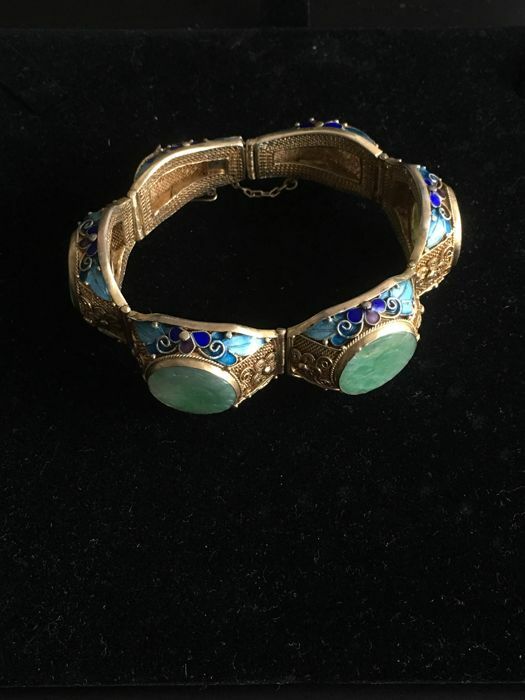 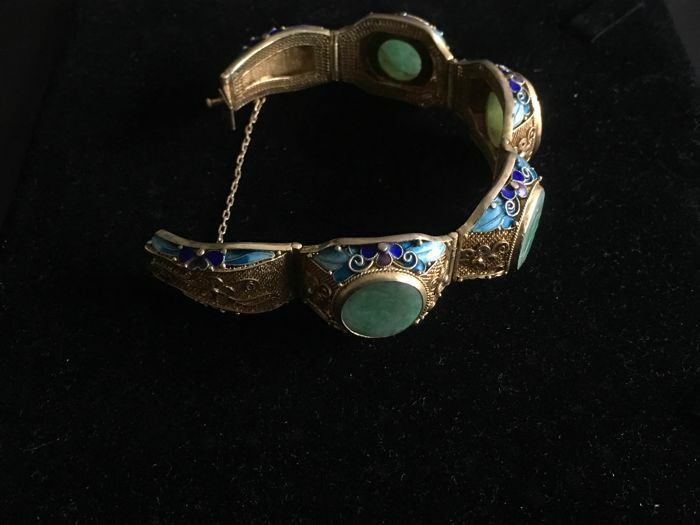 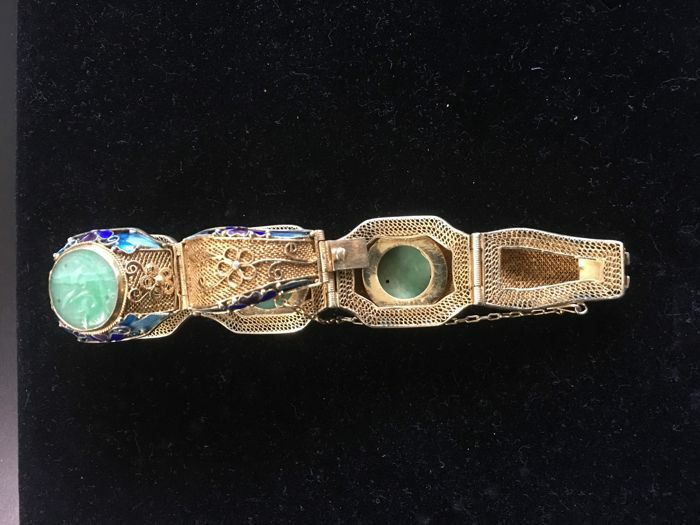 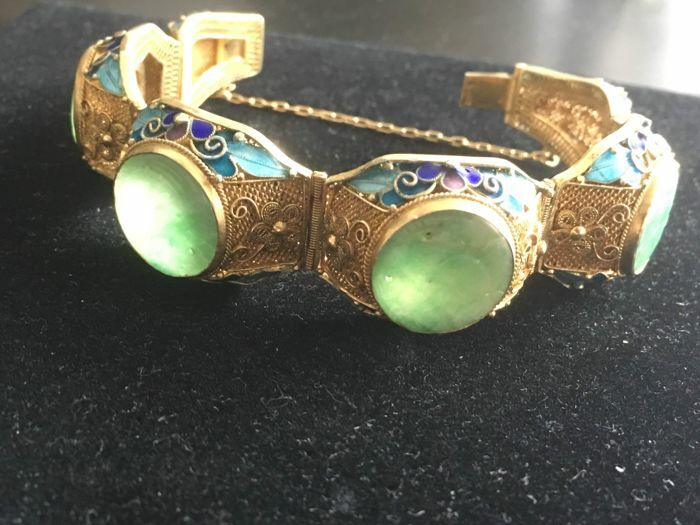 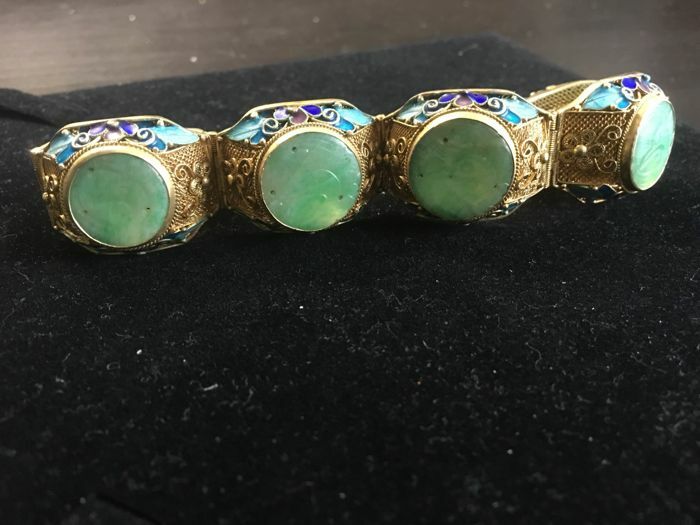 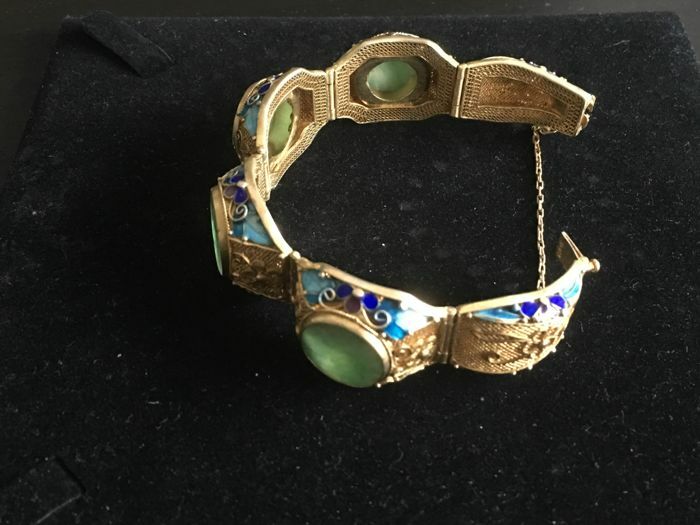 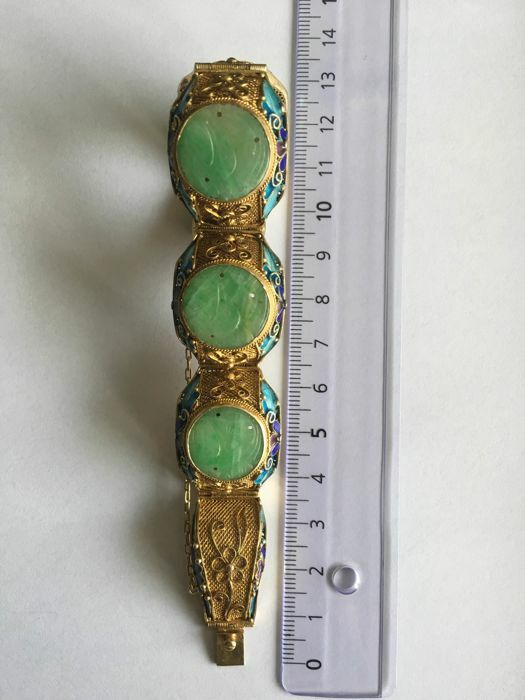 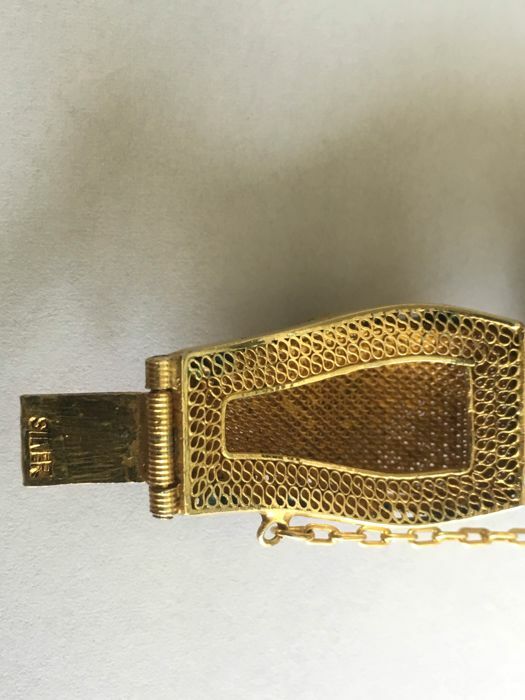 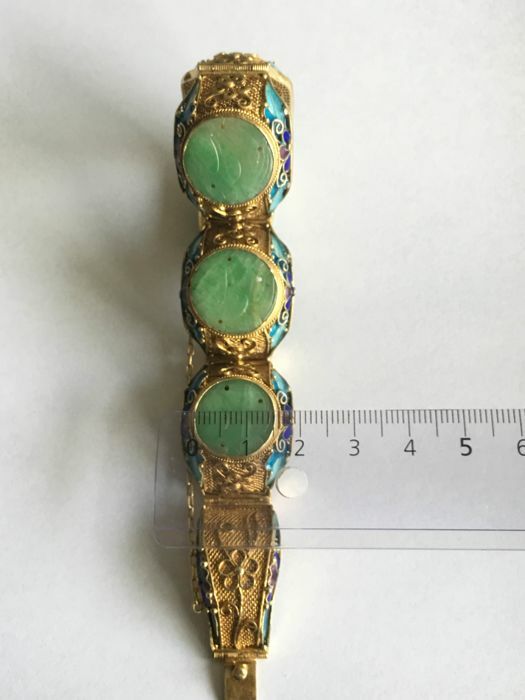 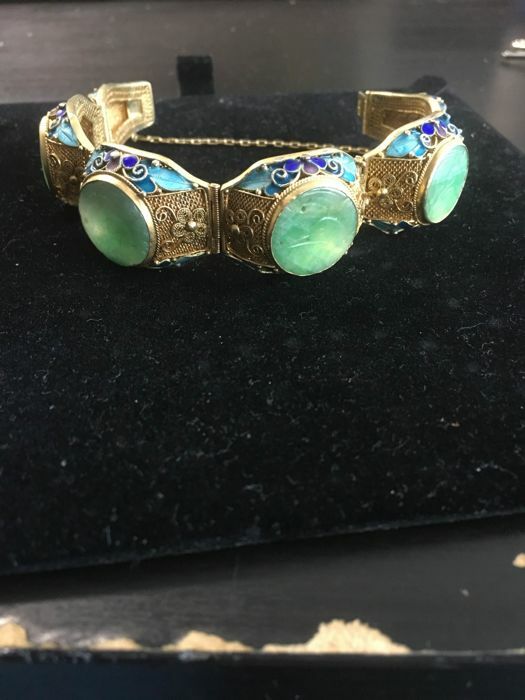 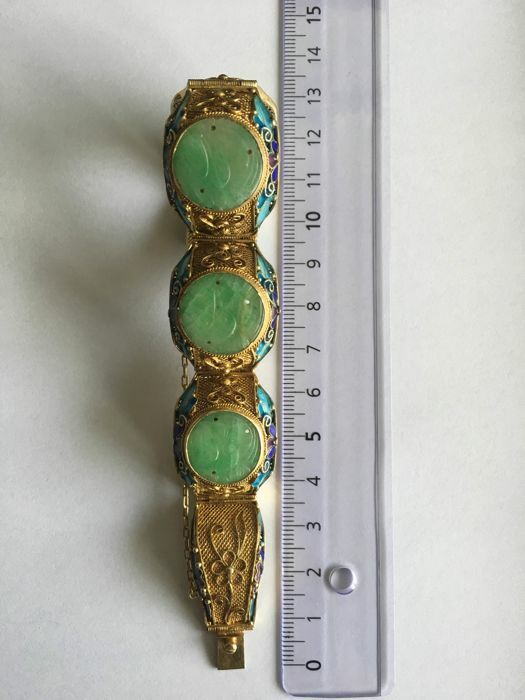 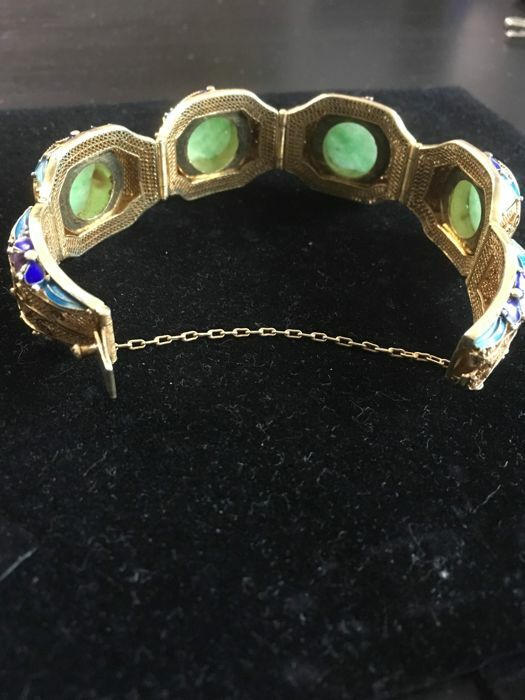 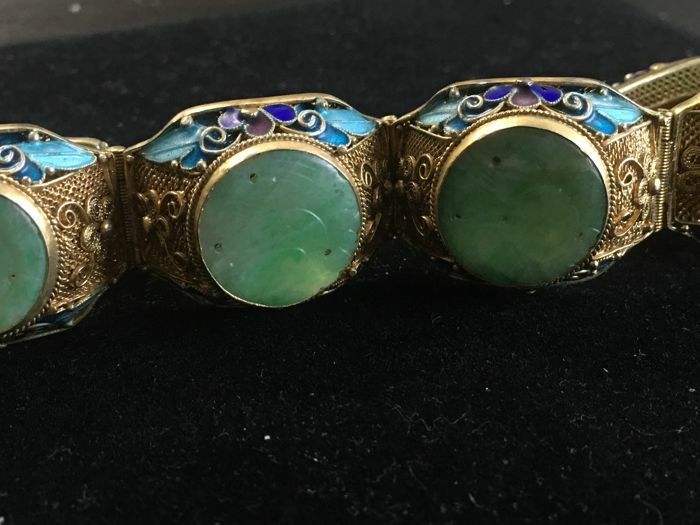 Silver bracelet with four jade inlays, in a good condition. 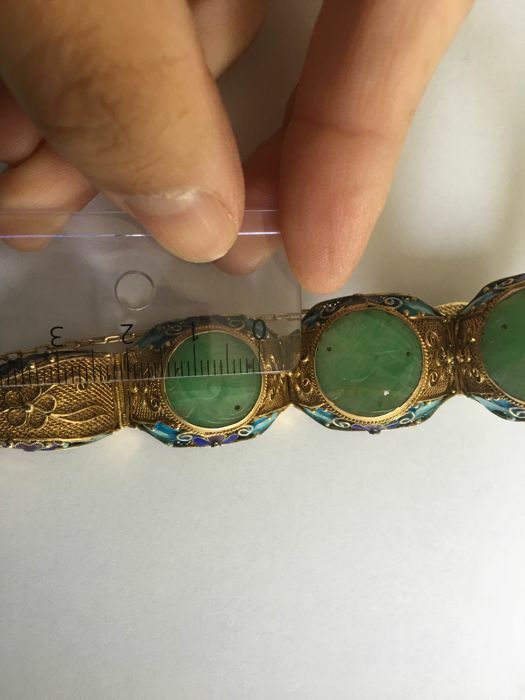 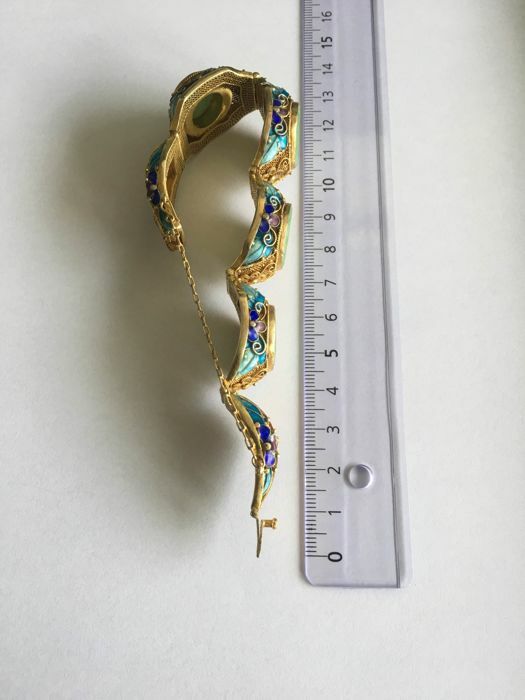 Precious stones are commonly treated to improve their colour or clarity. 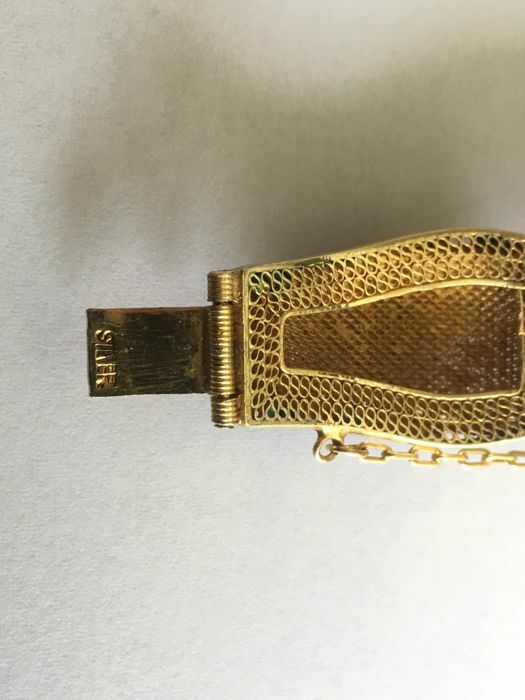 The article in question has not been tested in this regard.